A grooming essential, the Clinique for Men Sonic Purifying Cleansing Brush has been Dermatologist-developed to deliver an effective, deep cleanse. With more than 9,000 sonic vibrations per minute, the firmer, darker bristles are tapered to unclog pores, whilst the lighter ones gently cleanse cheeks to smoothen the skin's surface. Antimicrobial technology keeps bristles clean and hygienic. With an ergonomic handle for ultimate comfort, the tool has been designed with sonic action to energise skin and its tilted head reaches the hairline, forehead, nose and chin easily. Prepares skin for shaving by lifting facial hair and removing excess oil, dirt and grime for a closer shave. 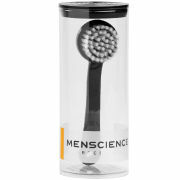 The waterproof purifying brush is suitable for use in the shower and features an automatic turn-off function which kicks in after thirty seconds. Its compact size is ideal for travelling so you can leave yourself feeling like a new man wherever you are. E.N. 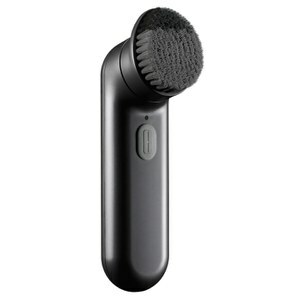 For best results use the Deep Cleansing Brush once daily.